Declared members of coalition parties and independents are starting to gather in Alotau, Milne Bay Province, for a working retreat to finalise the policy agenda that the Government will take to the next Parliament. The Prime Minister, Hon. Peter O’Neill CMG MP, said the Second Alotau Accord will build on the successes of the past five years, and step-up efforts in growth sectors of the future. “The Nation is entering a new era of stability with great opportunity to create more jobs and continue with enhanced development in communities right around the country,” the Prime Minister said. “Government policy consultation is underway in Alotau, where elected members of PNC and our coalition partners will chart an agenda for the coming five years. “Our core policies will continue along with our commitment to strengthen free education and universal healthcare. “We will build on the advances we have made in improving law and order around the country, and enhance training for the men and women of our disciplined forces. “Very importantly, we will take national infrastructure to the next level for Papua New Guinea. “In the past five years our Government has built more roads, bridges, jetties, public buildings and other infrastructure than at any other time in our history. “Over the next five years we will deliver an infrastructure transformation to further strengthen our national highway networks, bring more airports up to global standard and continue to build more schools and training colleges. “We will also ensure that we continue to strengthen service delivery and infrastructure development at the local level. 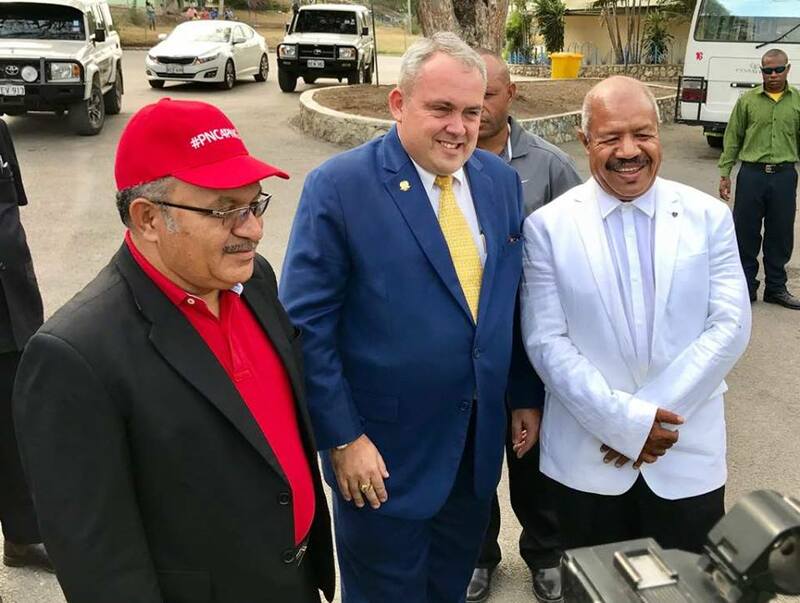 The Prime Minister said the Alouta retreat will also look to the growth sectors that will employ the Nation’s children in the future. “The enormous potential our comprehensive strategy that will deliver more accommodation and support infrastructure in the coming decade. “The global tourism market potential of Papua New Guinea is enormous, but we have to work harder now to build the hotels and the infrastructure that will enable tourists to visit our country for a unique experience. “We must also take a smarter approach to managing and utilising our marine resources. “In the coming years we will see that our fish stocks are better managed and that more revenue from this sector remains in our country. "Foreign fleets and foreign workers should not be catching and processing our fish, this must be done by Papua New Guineans. As the first sitting of the next Parliament draws nearer, the Prime Minister has again called for sensible debate, not bitterness and slander, to focus on national development. "Now is the time to move away from the bitterness of personal politics. “Some members will criticise the Government as is their democratic right, but it is time for maturity in debate. "The bitterness we still see from some candidates and members in opposition should be a relic of the past.